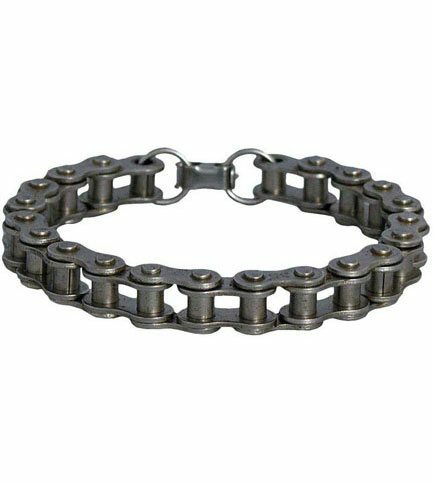 Nickel plated bicycle chain wristband with snap close clasp. Medium measures approximately 6 1/2 inches. Large measures approximately 8 inches. Clasp closure. Made in the USA.